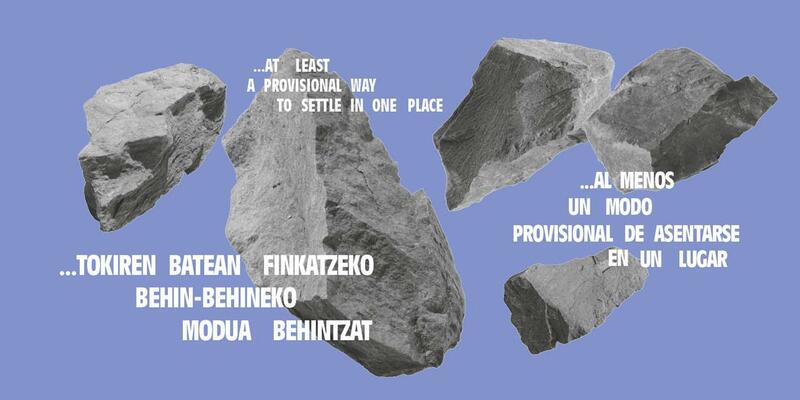 The exhibition “…at least a provisional way to settle somewhere” is the result of the New Curators programme, an initiative by DSS2016EU in collaboration with Artium and Montehermoso (Vitoria), Azkuna Zentroa (Bilbao) and Tabakalera (San Sebastian), supporting the training of new curators. After passing through Azkuna Zentroa in Bilbao, the second part of the exhibition will go to the Monterhermoso Cultural Centre in Vitoria-Gasteiz with the support of Artium, with new works and activities. 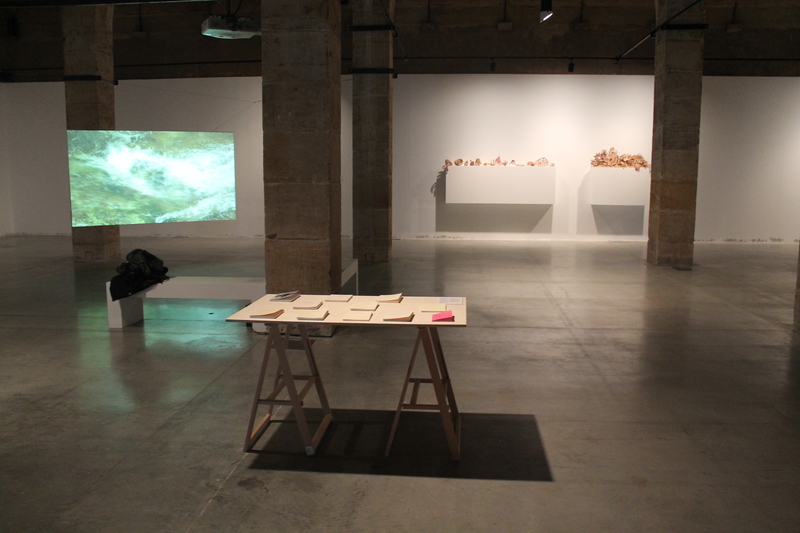 The exhibition uses the metaphor of the garden as a place for provisional and multiple relationships and presents works by the following artists: Emilio Araúxo, Pedro Barateiro, Zigor Barayazarra, Josu Bilbao, Lúa Coderch, Janice Kerbel, Irene Kopelman, Louisa Martin, Amaia Molinet, Eriz Moreno, Enrique Radigales, Rodríguez-Méndez, Eulàlia Rovira & Adrian Schindler and Tina Vukasoviç. They are a total of 14 works by renowned and new artists, most of which are being exhibiting for the first time in the Basque Country. The exhibition includes two works produced specifically for the occasion, by artist Josu Bilbao from Bermeo and the Croatian Tina Vukasoviç. This exhibition thus completes those created by the new curators for the New Curators project. The first one took place from 14 December to 22 January in Azkuna Zentroa in Bilbao and the second will be held until 28 February in Montehermoso. For example, in the video by Lúa Coderch, which lends the exhibition its title, that which we protect – nature – is that which protects us. Exploring the habitability of the land is also what drives Amaia Molinet’s work. On the other hand, Louisa Martin invokes the multiplicity and the difference in her research into autism. And Irene Kopleman presents a series of drawings on mangroves, the liminal world between marine and land ecosystems. 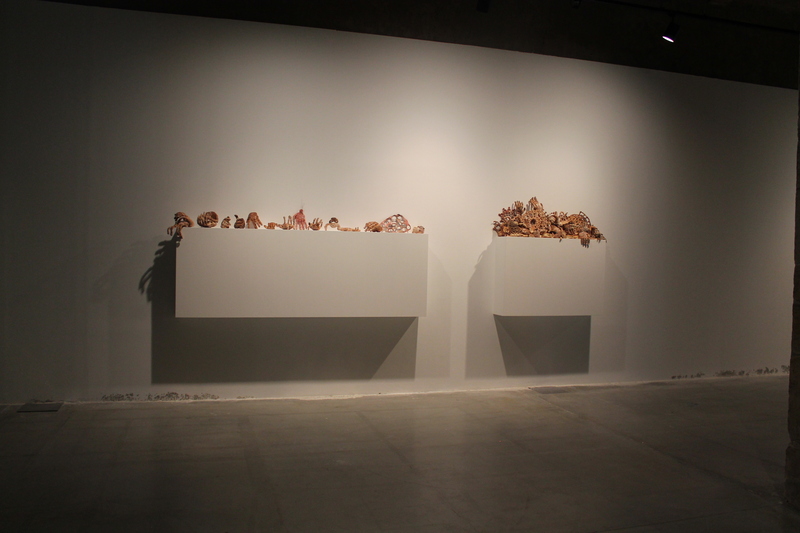 Disappearance, ruin, love, death and care all converge in the garden, Like in the project by Rodríguez-Méndez in which the artist's mother makes suits to fit his father, which she later parcels up and sends to her son each month. Notions of care and disappearance are present in the work of the philosopher, poet, ethnologist and translator Emilio Araúxo, pointing to disappearing worlds such as that of the peasants. Zigor Barayazarra combines the care of organic life with what could be some ruins made of bread. 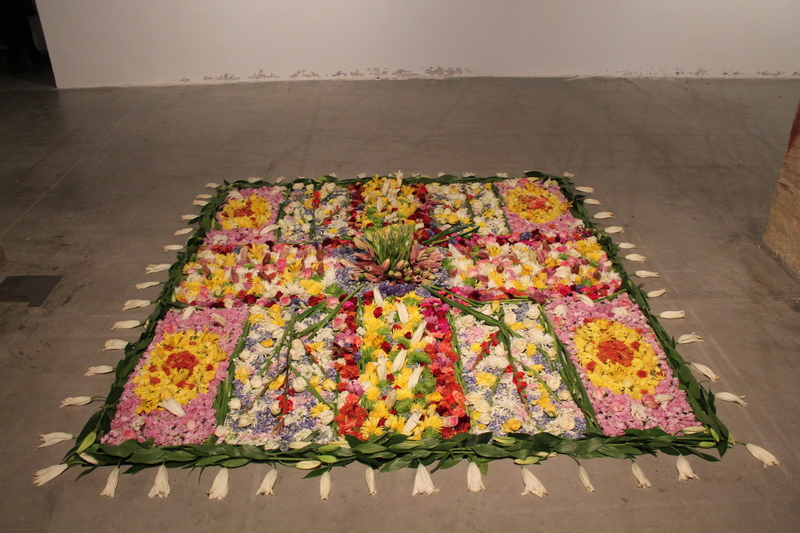 Care and disappearance are also echoed in Tina Vukasoviç’s burial carpet made of flowers. The potential for coexistence of the multitudes of the garden is not an idealised image of nature. Neither the perspective nor the landscape are innocent as Enrique Radigales’s slide show Archived Landscape reminds us. Or as does the film by Eulàlia Rovira and Adrian Schindler about the hills built by the feudal powers so that they could control an area of land. In Pedro Barateiro’s video, the felling of a palm tree and the sound of a protest against austerity – the juxtaposition of nature and culture – give form to the present time. Eriz Moreno crosses a German imperial motorway which is partially abandoned and covered over by nature. Last of all, the wall intervention by Josu Bilbao, continuity and interval at the same time, appeals to an idea of the garden as an interruption. Similarly to Janice Kerbel, whose audio work floods and interrupts the space every afternoon. The group of ten new curators taking part was chosen during an open call at the start of the year from among 70 candidates from around Europe. The project, which took the paradigms that associate the function of the curator with that of a translator as the starting point, has led to the “garden” as a poetic and organisational figure thanks to a series of on-site meetings and a collective work methodology focused on curatorial practice. The new curators who have taken part in the project are Valerio del Baglivo, Ángel Calvo Ulloa, Irati Irulegi, Laura Díez, Leyre Goikoetxea, Natasha Kadin, Pilar Cruz, Iker Fidalgo, Sonia Fernández Pan and Juan Luis Toboso. They have worked under the coordination of Aimar Arriola and the advice of the two guest curators, Tamara Díaz Bringas and Sabel Gavaldón. 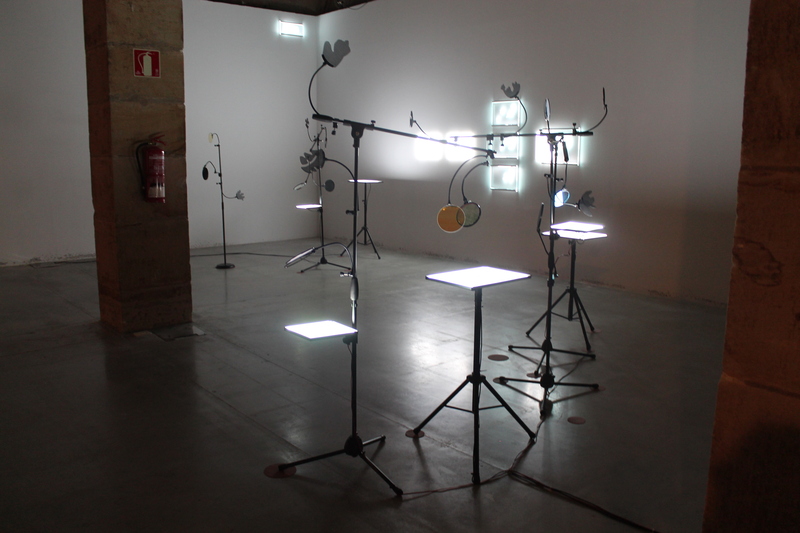 They have all participated in the laboratories carried out in the three Basque capital cities with methodologies to work collectively with the intention of overcoming the usual association between the function of the curator and that of the translator. A process that has resulted in the figure of the garden as a possible model to think about curatorial practice. The garden appears here as a provisional contact area that invokes the difference: an exhibition as a garden, a place for provisional and multiple relationships.